This month we’d like to highlight Leroy Royer III and his team at Cardinal Recovery, Inc.
Cardinal Recovery is highly active in the Garner, North Carolina community, giving back to local police agencies through annual donations to the Garner PD, as well as sponsoring a Raleigh-area recreational softball team. Leroy himself is a member and trustee of his local chapter of the Knights of Columbus Council, a fraternal society that works with a variety of charitable organizations, including the Christian Refugee Relief Fund, Disaster Relief, Ultrasound Initiative, and Coats for Kids. He also chairs their annual golf tournament and works with their youth organization. In addition to his role as president at Cardinal Recovery, Leroy also serves on both the NARS committee and the Public Relations committee. Leroy’s service to ARA and his community are an example to us all and we’re thankful to have members like him among our ranks. 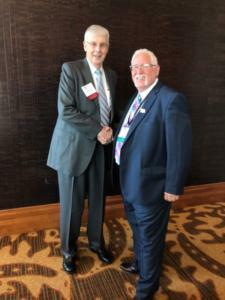 IRVING, Texas – August 14, 2018 – The American Recovery Association (ARA), in conjunction with headline sponsor, Harding Brooks Insurance, is excited to announce the theme, secured keynote speakers and early-bird registration for the 11th annual North American Repossessors Summit set to take place at the Omni Mandalay Hotel in Irving, Texas on April 18 and 19, 2019. 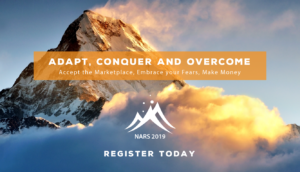 Seeking to address the ever-changing business environment and to help attendees conquer the fear of change, the NARS 2019 theme has been coined: “Adapt, Conquer and Overcome: Accept the Marketplace, Face your Fears and Make Money.” The NARS planning committee swiftly and unanimously chose this theme for NARS 2019, thanks to their combined experiences from the lending, recovery agent and vendor sides of the industry. Breaking records of past summit timelines, the committee has already secured two keynote speakers: Bob Burg, motivational speaker and bestselling business author, and Mike Sarraille, a former Navy SEAL officer. A highly acclaimed speaker and the author of The Go-Giver, a Wall Street Journal and BusinessWeek Bestseller, Bob Burg will deliver a 3-hour business workshop at NARS 2019. Through this workshop, Bob Burg will teach NARS attendees profitable, business-building skills they can immediately take back to their businesses. Bob was named one of the 30 Most Influential Leaders by the American Management Association and one of the Top 200 Most Influential Authors in the World by Richtopia. Early bird registration is now open for $375, a savings of nearly 25% off the normal registration fee. You can sign up for early bird registration at reposummit.com. ARA members can also purchase tickets for up to four additional staff members at a rate of $250 per person. Registration for exhibiting and sponsorship opportunities for NARS 2019 will be announced and open to the public soon. The North American Repossessors Summit (NARS) is a 2-day conference for professionals in the recovery and remarketing industries to come together from across the country to address key issues impacting their industries and businesses. NARS provides an open and collaborative environment for these professionals to address industry challenges and complexities as a a way to build a foundation for the future. The summit welcomes recovery and remarketing specialists belonging to every type of professional organization and association across the country. For more information, visit www.reposummit.com. Are You Buying a Repo Service Or A Repo Result? Jul 12, 2018 • Uncategorized • Comments Off on Are You Buying a Repo Service Or A Repo Result? This is a guest article from Mike Levison, CEO of ALS Resolvion. Over the years, repossession and skip tracing services have come to be viewed somewhat as commodities by many in the lending community. As such, outside of compliance, the primary focus around the management of these services has been costly. After all, since these services are available through multiple providers, why pay more than what the low-cost provider is willing to accept? This downward pressure on costs has resulted in the service providers having to reduce resource allocation, in several key areas, in order to maintain an acceptable margin on the business. In many cases, this strategy ends up costing the lender more in the form of higher charge-offs, higher priced deep skip services, etc. However, some lenders have realized that even small differences in recovery rates can translate into big gains in net dollars recovered even if the cost of the repossession was slightly higher. In the case of forwarders or skip service providers, typically administrators or skip tracers are assigned to work a specific group of cases. The labor pool allocated to these functions is a significant part of the provider’s overall cost structure. When a lender pushes for rock bottom fees, inevitably queue sizes get increased in order to reduce labor cost. The more cases an investigator has to work, the less time that can be spent on each and recovery rates usually suffer. When margins are very tight due to low fees, the forwarder/skip provider is also limited as to how much can be offered to the recovery agency. In our case, those fees range from $275 on the low end to $375 on the high end. You can bet there is a big difference in the amount of effort the agent puts into the $375 cases than the $275 cases. The repo agency faces the same dilemma since they also work primarily on a contingent model. On low fee cases, they will inevitably have to reduce the number of times an address is run, reduce the fee to the driver….or both. This is a real issue in today’s world where the agent ranks have thinned over the past few years due to rising costs and compliance requirements. Fewer agents, combined with rising delinquency rates, means that agents are in a good position to pick and choose where they put their resources and you can be sure that they do just that. Wouldn’t you? When it comes to locating missing cars (outside of LPR technology) it is all about finding good addresses and contact numbers. Fortunately, there are many data sources out there that provide information. The cost can be anywhere from free to several dollars per report. As you might expect, the more expensive reports often (not always) contain the better/more current information. However, the service provider must be very careful on how and when the best data sources are used. For instance, a $6.00 report on a portfolio that generates a 20% recovery rate will add $30 in cost per recovery just for that report. Combine that with a low fee schedule and it makes it very difficult to utilize that data source. All of these “adjustments” that are required to deal with low margin business absolutely make a difference in recovery rates, charge offs, auction values, etc..
Let’s take a look at a couple of different analysis of the trade off between higher recovery costs and higher recovery rates. The analysis below illustrates the additional “lift” in recovery rates that is required to offset a $50 difference in recovery costs. As you can see, based on these assumptions, the service provider would only have to generate less than one additional recovery for every 100 assignments to offset the cost of paying $50 more on all recoveries. This does not even take into consideration the value of avoiding the charge off. Of course, the net benefit between higher costs and higher recovery rates is significantly impacted by auction values. Some portfolios deal in collateral that often has little more than scrap value when recovered and some have average values in excess of $25,000. 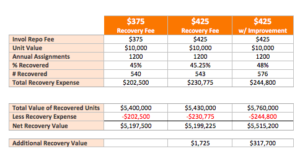 The table below illustrates the financial gain, under different auction value scenarios, if recovery rate increases just 5%. If you would like to see a more detailed analysis based on the specifics of your portfolio, just let us know and we will prepare. Cost is an important variable in the repossession management process, but pushing costs too low can produce a diminishing return. Mike Levison, CEO of ALS Resolvion – Mike has over 30 years of senior executive experience in the financial institution marketplace. Prior to joining ALSR in 2010, he served a CEO of Remark Americas, an international insurance brokerage firm for 8 years. Prior to ReMark, he served as CEO of Coverdell & Company from 1987 – 2002. Mike is a graduate of the University of Georgia School of Finance. Juan Bryant delivers a webinar version of his popular NARS 2018 roundtable about effective communication in the digital age. From text and email to phone calls and face-to-face conversations, there are more channels of communication today than ever before. But even though we have so many ways to talk to each other, it’s become very easy for meaning and intention to get lost in translation. In this month’s ARA webinar, Juan brings fresh life to his “Verbal Judo” presentation NARS 2018. Not only will he cover the current best practices for face-to-face encounters and electronic communications so that people understand what you’re saying, he’ll also teach us how to use the “diffuser” technique. The American Recovery Association provides a free continuing education webinar series for recovery and remarketing professionals. This monthly one-hour webinar series offers education about the latest recovery laws and regulations, compliance policies, industry issues, and more. These presentations are geared towards owners, managers, employees, and field agents. As an ARA member, you must register online for this webinar using your personal e-mail address so that you receive your certificate of completion. In the event that computer sharing is necessary for your office, please provide a list of employee names and email addresses in an excel spreadsheet to tricia@americanrecoveryassn.org. Doug Duncan of Talent Value will discuss 4 simple steps for finding and hiring great people. You have a business to run. You shouldn’t have to spend time worrying about whether or not your employees will show up, how they will perform, or if they’re trustworthy. Learn how to avoid wasting your time on lackluster candidates and recruit the best for your business. American Recovery Association provides a free continuing education webinar series for recovery and remarketing professionals. The one-hour webinar offers education about the latest recovery laws and regulations, compliance policies and industry issues. This presentation is geared specifically towards owners and managers. ARA members must register online for the webinar with individual email addresses to receive a certificate of completion. If computer sharing is necessary, please provide a list of employee names and email addresses in an excel spreadsheet to tricia@americanrecoveryassn.org. This month, we’d like to recognize Karen Rogers of A.R.B. of Louisiana Inc., Lafayette. Karen has been in the repossession business for over 19 years, serving as operations manager of A.R.B. of Lousisiana Inc. She has been a member of the American Recovery Association for three years. 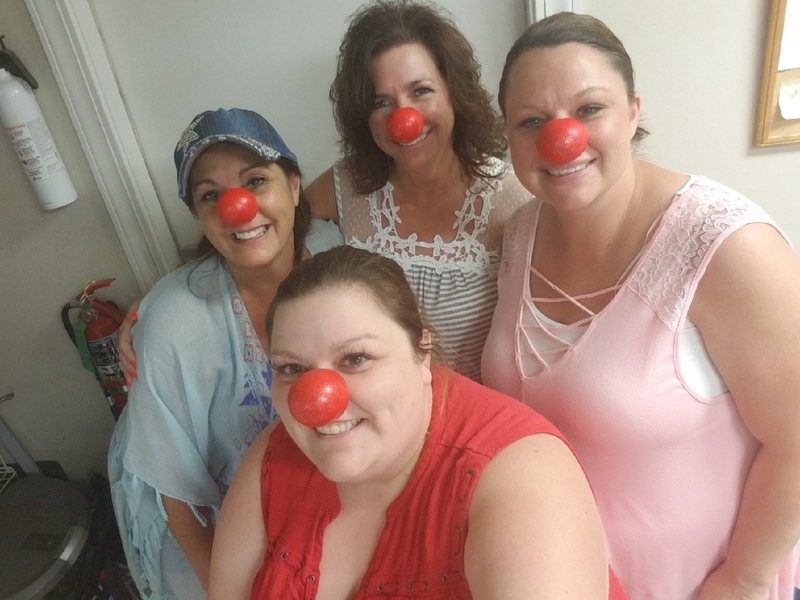 Under her guidance, her staff has helped raise funds for Red Nose Nose Day 2018, an organization that works to end child poverty. Red Nose Day is a simple yet powerful, visible, and playful way to bring people together and break down barriers. It serves as a reminder of the power of laughter. 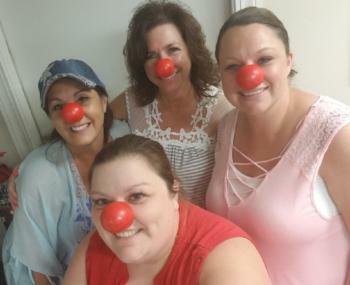 Because of people like Karen, Red Nose Day was able to raise more than $145 million dollars for their cause this year. She was also a huge help at the NARS 2017 and 2018 live auctions and everyone in her office finds her a joy to work with. Thanks for being a great ARA member and inspiring all of us with your charitable works, Karen! We’re lucky to have you. Fort Worth, Texas, June 05, 2018 – The American Recovery Association (ARA) and the National Automotive Finance Association (NAF Association) are excited to announce the results of their first joint effort to establish a minimum compliance standard for third-party repossession vendors. Create a set of baseline criteria for NAF Association members to use in the oversight, management, and auditing of recovery agents. Produce a standard list of compliance requirements for recovery agents to help them satisfy all of their clients. Streamline the process of 3rd party management for recovery agents specifically, resulting in lower costs for all parties. For more information about ARA, its partnerships, and its member benefits, please visit repo.org. The National Automotive Finance Association (NAF Association) supports its members and the industry with education, research, and information. Programs include Annual Below-Prime Auto Finance Conference; workshops and webinars; annual Below-Prime Automotive Financing Survey; Standards of Financial Reporting; and Code of Responsibility for the industry. About American Recovery Association, Inc.
American Recovery Association (ARA) is the world’s largest association of recovery and remarketing professionals. ARA members specialize in locating and repossessing collateral on behalf of lending institutions, including banks, savings institutions, finance companies, credit unions, rental/leasing companies, and auto, truck, and equipment dealers. ARA is a nonprofit association whose members serve 27,000 national and international cities. All members are certified independent business operators. For more information, call 972.755.4755 or visit the website at www.repo.org. American Recovery Association offers a free monthly webinar as part of its new continuing education series to help recovery and remarketing professionals stay plugged into the most current industry rules, regulations and compliance requirements. 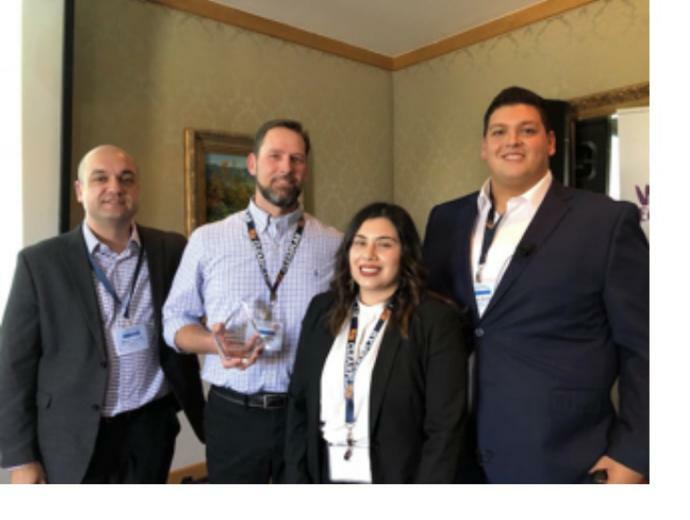 This month, Jeremy Cross of International Recovery Systems Inc. will be giving the presentation he shared at NARS 2018 on using analytics to determine the true cost of a repo. He shares valuable knowledge and implementable tips to help you grow your business. Jeremy Cross of International Recovery Systems Inc. This month we’d like to recognize Marcelle Egley of ABA Recovery Service in San Diego. Marcelle has always been an active and vocal ARA member and now we’re proud to welcome her as our newest board member! Two weeks ago at the ARA Convention, our members voted for her to serve on our board of directors and we are very excited to work with her. Marcelle has proved herself time and time again to be a powerful force in the repossession industry. As the president of the California Association of Licensed Repossessors, Marcelle has fought for the repossessors in her state, including working hard to lobby against state legislation that would hurt California business owners and professionals. She has also been a huge help in planning the last several North American Repossessors Summits as a member of the NARS planning committee. We have no doubt she will be a valuable asset to our board! NARS 2018 is set to be one for the books. From the stadium tour and golf tournament to our networking parties and live auction, all the great events we have planned for the 10th Annual NARS wouldn’t be possible without the support of our wonderful sponsors. We’re thrilled to welcome back Harding Brooks Insurance as our Headline and Cocktail Party sponsor this year. The Harding Brooks Cocktail Party will be held from 5 p.m. to 7 p.m. on Thursday, April 19th. This event will provide excellent networking opportunities for you to get to know both the Harding Brooks representative and your fellow NARS attendees. It’s an event you won’t want to miss! We’d like to give a special thanks to this year’s Closing Party sponsor, Digital Recognition Network (DRN), for making this special event possible. After two jam-packed days of education, collaboration, and networking, the Closing Party is something NARS attendees always look forward to. The DRN Closing Party will begin at 5 p.m. on Friday, April 20th, following the Business Owners Meeting. Lunch this year is sponsored by our friends over at XINSURANCE. What is NARS without ample opportunities for networking? The best and brightest of the repossession industry will be there to rub shoulders with, so make sure you use this lunch to your advantage! NARS 2018 is the can’t-miss industry event of the year. To see the full schedule, click here. Haven’t registered yet? Don’t worry- there’s still time! Get your ticket here.